General Burgoyne gains a power-hungry confidant. But is his information accurate? The view from the Drowned Lands Pocket Park provides an overlook of where Lake Champlain shrinks into a narrow river. Photo by Gretel Schueller. Closeup: Near the headwaters of Lake Champlain, where the land becomes marshy. Photo by Gretel Schueller. 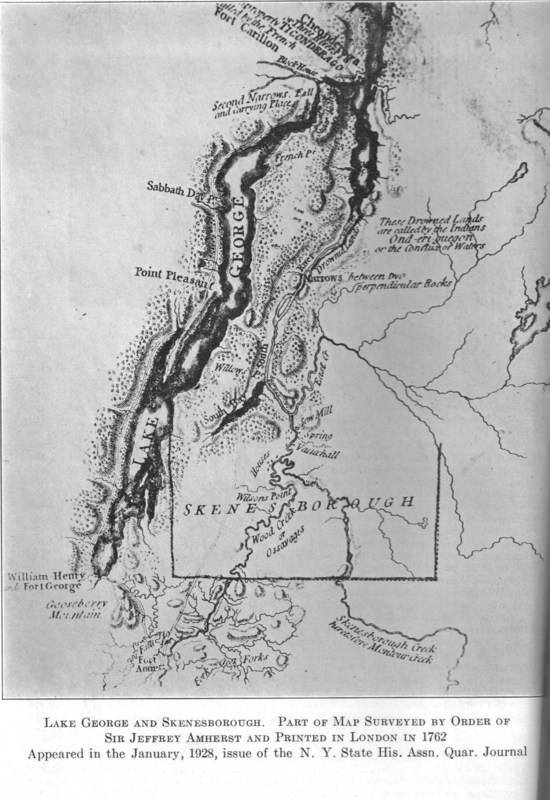 Map of Skenesborough. Courtesy of Whitehall Town Historian. Philip Skene. Courtesy of Whitehall Town Historian. This area is called “the Drowned Lands” because the mountains and hills here seem to sink into the surrounding marshy low-lands. 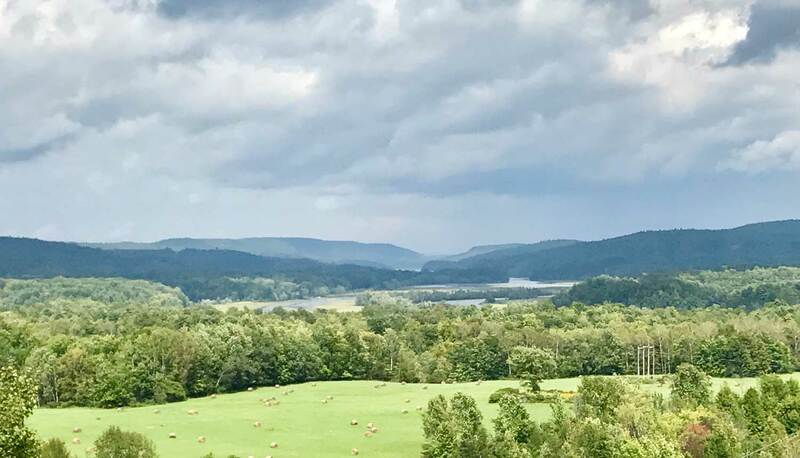 Several rivers, creeks, and streams converge below, forming the headwaters of Lake Champlain. It is considered part of the lake even though it is barely as wide as a river. British General John Burgoyne had not originally intended to sail this way to get to Albany. When he had outlined his strategy for the 1777 campaign he wrote, “The route by south bay and Skenesborough [present-day Whitehall] may be attempted, but considerable difficulties may be expected, as the narrow parts of the River may be easily choked up and rendered impassable.” He sent the artillery and heavy provisions by the more passable way of Lake George, but altered his plan when he decided to pursue the Rebels that fled from Fort Ticonderoga to Skenesborough. 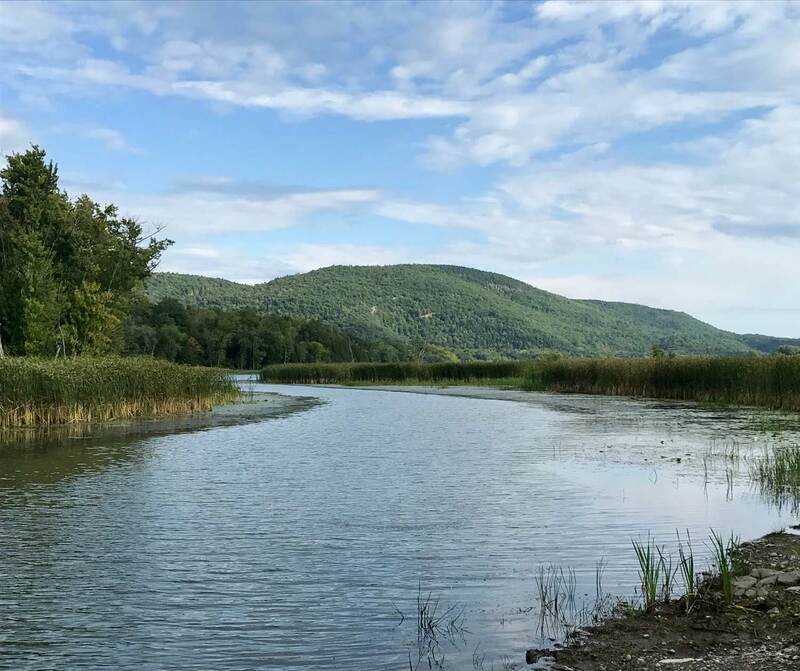 It took just a few well-placed shots for Burgoyne’s boats to get through the log boom and bridge barriers the Rebels had constructed across the narrow part of the lake, between Fort Ticonderoga and Mount Independence in Vermont. A favorable southerly wind assisted the British as they entered the narrow parts of the lake. The larger ships had to go single-file to avoid running aground in the shallows. Although Burgoyne had never stepped foot in this wilderness before, he had the assistance of the man who owned and occupied this land. After serving the Crown for nearly two decades, Colonel Philip Skene found himself in North America during the French and Indian War. He was wounded during the 1758 attack on Ticonderoga and was given charge of Fort Crown Point when it was abandoned by the French the following year. While stationed here, Skene saw the economic advantage of settling this place and began a settlement at the head of Lake Champlain called Skenesborough, now Whitehall. Officers such as Skene were offered land in return for their service to the Crown. In 1759, Skene received a large grant of land on Lake Champlain, which he increased to about 60,000 acres. He had been known as an officer of great courage in foreign wars, and he had been given this grant to strengthen the British hold on Canada. He was named Governor of Crown Point and Ticonderoga, and became colonel of the local militia, judge, and postmaster. In Dresden, you’ll see a sign for a parking area on the left. This site offers a wide overlook of the Drowned Lands. Check out the view, then listen to track 15. After leaving the Drowned Lands Pocket Park, you’ll get a few more views of Lake Champlain narrowing into its headwaters.